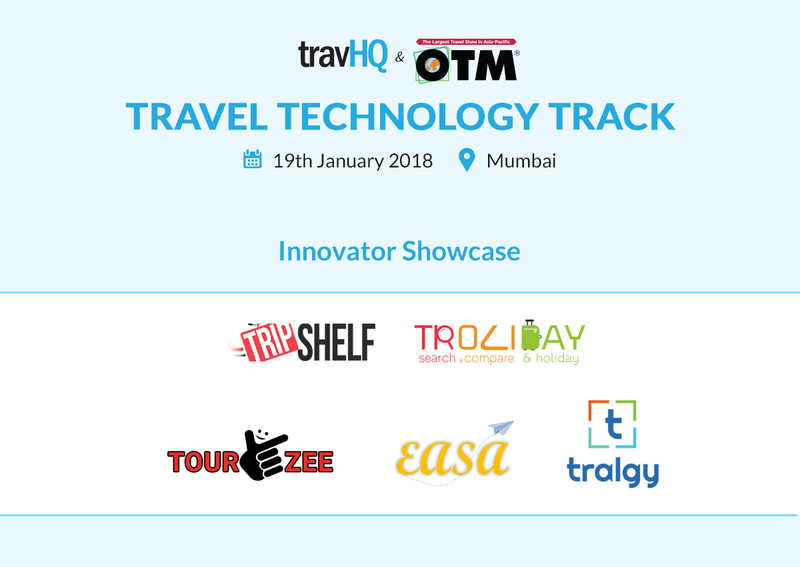 The Travel Technology Track is an initiative by TravHQ & OTM to build a knowledge sharing platform and showcase innovative cutting-edge technologies in the travel sector. Hosted in Mumbai on 19th January 2018, the event aims to bring the thought-leaders and key decision makers of the travel industry under one roof to share best practices through insightful sessions and workshops. In one of our sessions, some of the leading innovators in the Indian travel industry will be showcasing their solutions at the Travel Technology Track. Tripshelf connects tour operators with travellers looking for holiday packages. We aim to boost the online business of small and medium size tour operators, via digital marketing along witha set of specialised tools to enable them to transact online efficiently. We are doing this through automation, NLP based chat bots, machine learning, customer intelligence to calculate customer willingness scores, algorithmic online marketing and a passionate team of travellers. Tralgy is a software platform which is established particularly for the travel and tourism industry and was founded in December 2014. It is a SaaS (software as a service) which increases the efficiency, reduces the cost and helps you increase your sales like never before. It strives to provide the best service and utmost satisfaction to travel agents all over the world. EASA, is an end-to-end online solution for visa applications for Indian travellers, Travel Agents and Online Travel Agencies. With auto-completion of 70% of any visa form through previously stored customer data, up-to-date visa information, personalised customer data metrics, and document pick-up & drop-off services, EASA’s priority is to reduce anxiety with unmatched convenience & professionalism. Tourezee is a B2B Platform & Marketplace connecting the Traveler, Travel Agents, Destination Management Companies and their Local Suppliers by providing an INNOVATIVE DIGITAL End-2-End Solutions for Upstream (Quote Build & Compare), MidStream (Itinerary) and DownStream (Job Order, Financials and Ratings) activities. Troliday covers gap between Holiday takers and Online Travel Agents so as to reduce planning time/cost and to find perfect holidays for them. We intend to create a revolutionary platform which shall change the current scenario of holiday searching by creating a user friendly portal offering the unbiased comparison of Holiday packages globally.